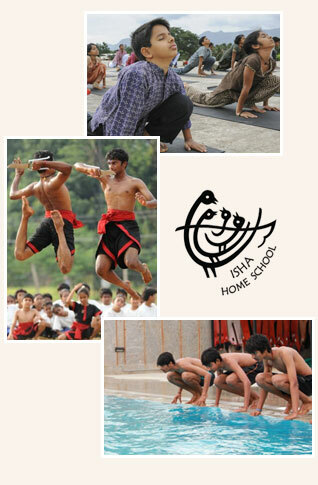 Isha Home School is located amidst the tranquil surroundings of the Velliangiri Mountains near Coimbatore, Tamil Nadu. 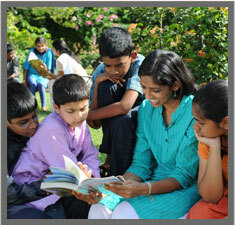 Founded in 2005 by Sadhguru, the school strives to incorporate his educational approach into its day-to-day working. The quintessential Home School has children aged 6-9 (Junior School) and 10-13 (Middle School) that live and learn in the same space. The best aspects of ‘home’ and ‘school’ seamlessly blend to provide a nourishing space for learning. Each home is cared for by house-parents and teachers. This multi age environment ensures a sibling atmosphere where students learn from each other as well. A dynamic curriculum, free from the pressure of examination, allows for an atmosphere of inspired teaching and passionate learning. Students transit to a horizontal grade system from grades 8-12 (Senior School), wherein they are prepared to meet the requirements of the prescribed syllabus. The School is affiliated to the Council for the Indian School Certificate Examinations (CISCE). The Council offers the ICSE examination at Standard 10 and ISC at Standard 12. Admissions for each academic year begin around the month of October of the preceding year. New students are chosen on the basis of academic ability, interests and skills as well as parental understanding and commitment to the unique pedagogy and vision of the school.